Plot - A romantic love story about a young, hearing-impaired couple who find respite from their gloomy love life when the guy discovers his insatiable passion for surfing. Shigeru is a hearing-impaired garbage collector who is in a relationship with Takako who suffers from the same condition. On his route one day, Shigeru find a broken surfboard and is determined to ride the waves. The couple make daily visit to the shore and Shigeru attempts to catch the waves but fails as locals jeer him. Putting all his time and effort, he eventually learns the craft of surfing but finds himself further away from Takako. 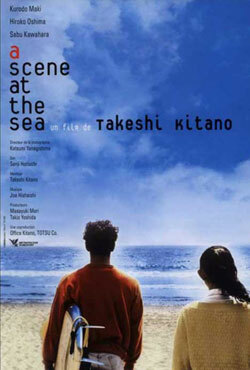 Awards & Nominations Won by "A Scene at the Sea Movie"
Box Office Earning of "A Scene at the Sea"